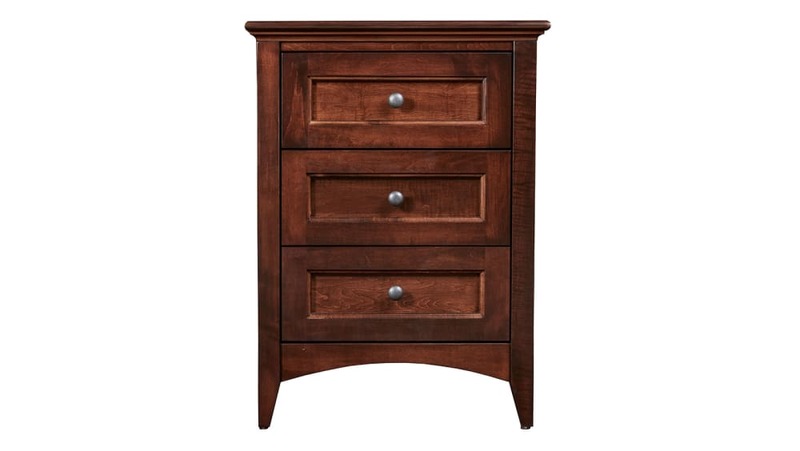 The contemporary style of this solid maple nightstand will breath new life into your bedroom. With Gallery Furniture's same-day delivery, you can start enjoying this in your home TODAY! Made in America means a better America, as well as a better product for you. Featuring high-quality, bright silver drawer pulls that enhance the overall aesthetic. 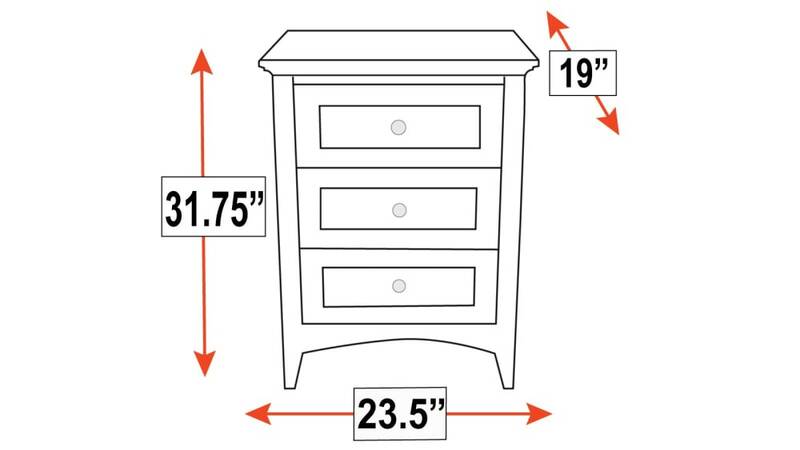 With three drawers for storage, you will have plenty of space. This nightstand was built from solid brown maple wood, which was harvested from responsibly managed forests.